There are times that you may need to copy or edit texts from a scanned document or a PDF file. However, this is not possible as these files are considered images. The texts cannot be selected, edited or copied. So you need to manually type them, which can be time consuming. But this is no longer the case. 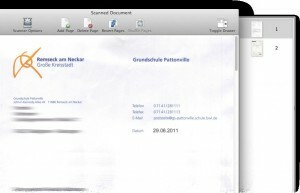 You can use an OCR software for Mac to automatically convert an image to a text file. Here are some of the programs that you can use. This program offers several features that make conversion and editing of PDF, scanned and image files easier. Even documents or files taken using a digital camera can be converted using FineReader. It offers high conversion accuracy as it does not just scans on the texts of the document, but also the images and tables. If you need to have the exact copy of the file but just needs to edit some of the texts; that will not be a problem with this software. It supports 171 languages so it can recognize the words even if they are not written in English. Aside from the option to convert the file into a word document, you also have the option to convert it into a spreadsheet, HTML or searchable PDF file. All of these can be done in just one click. You don’t have to worry about accidentally saving the changes you made as it keeps a copy of the original file. DevonThink Pro Office is a document management program that offers easy way to organize all your files. This will make job easier for you as it will be faster to check on the documents you wish to find, as well as create a back up copy. It also has an OCR feature, which converts a scanned document into a text file. It actually uses ABBYY FineReader for converting the scanned files. If you need a program that can help organize your documents while enjoying the convenience of an OCR program, this software is for you. 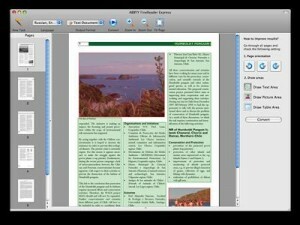 ReadIris 12 is an accurate OCR software for Mac that can convert images or PDF files into editable text. It supports conversion to over 30 formats including Word Document, Excel, HTM, e-mail and more. This can be done in just one click of the mouse. Conversion is fast so you don’t have to wait for several minutes to get the converted file. It’s easy to use because of its user friendly interface. Furthermore, it allows you to immediately upload the files to any cloud including Google Docs and Dropbox so you can access them anywhere, anytime as long as you are connected to the Internet. With the simplicity of its interface, you can quickly learn how to use this program. It does not require complicated steps to convert a scanned document into an editable PDF file. In fact, a simple drag and drop of the scanned file is all you need to have it converted. 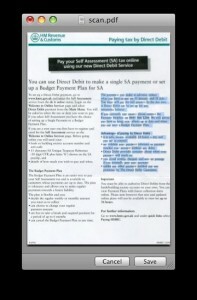 The software then scans and analyzes the document and converts it to text. You have the option to save it into a PDF file or you may also copy the texts and save them on a Word file or other word processing programs you wish to use. It works with most scanners so you should not have a problem when it comes to scanning files. Adobe Acrobat 8 and up come with a built in OCR feature that you can use to convert a scanned image into a searchable PDF file. Aside from the ability to search texts once the file is converted, it is also possible to copy them so you can save them on other applications including Excel, Word or e-mail. The conversion can be done while the document is being scanned or by using an already scanned image. 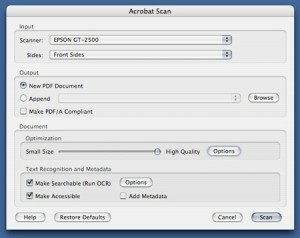 To convert a file that you are about to scan, open Adobe Acrobat, click File, choose Create PDF then select From Scanner. The Acrobat Scan window will appear. 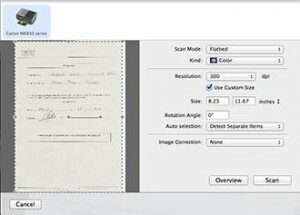 Click the box next to Make Searchable (Run OCR) to put a check mark and click Scan. If you have a scanned image saved on your computer, open Adobe Acrobat, click File, choose Create PDF then select From File. Open the scanned image, then click Document, OCR Text Recognition then Recognize Text Using OCR. 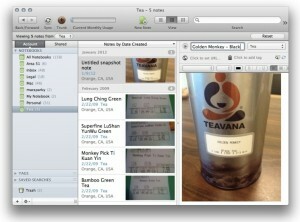 While Evernote is mainly used for organizing files like images, notes, PDF and other data, it also comes with an OCR feature. If you do not have a premium account, the OCR feature can be limited to extracting text files from images that you save on Evernote. 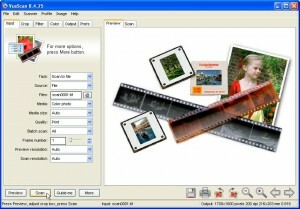 They are useful for easily searching specific pictures on your files. However, if you have a premium account, you will be able to run OCR on PDF files making the texts searchable and editable. This is mainly a program that is used for scanning as it supports more than 1850 scanners. If you cannot find the driver of your scanner or it is no longer supported by the manufacturer, you can still use it by installing VueScan on your computer. Scanned files can be saved in different formats including TIFF, JPEG and PDF. Make the file searchable by using its OCR feature. As a beginner, you can use the Guide Me mode for help on the step by step process of using the program. When you have familiarized yourself with its use, you can try the Advanced mode and have access to more options. 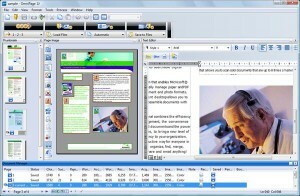 PDFPen converts PDF files into searchable and editable format. Aside from editing or copying the texts, you can also add images on the original file itself. When copying to another application, the format will be kept. Furthermore, it allows conversion of scanned images into text. Depending on your needs, there is an Omnipage version that will work best for you. If you are a professional and you need to use it for your job, you can get Omnipage Professional 18. If running a company, Omnipage Enterprise is the best option. For personal use, you can go with Omnipage Standard 18. It offers fast and accurate conversion and supports 123 languages. It keeps the format of the converted files and recognizes not only the texts, but other elements on the file like tables, forms and images. This programs offers scanning, OCR, image enhancement, as well as the ability to share files on the Cloud network. Whether it is a scanned file or a picture, convert it to text file so you can easily copy or edit the text. It supports more than 40 languages so you can be assured that conversion is more accurate. 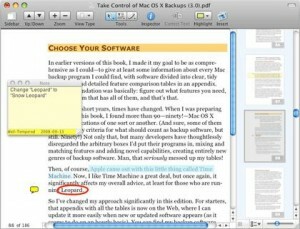 Choose from any of the OCR software for Mac you would like to install on your computer. Converting scanned and PDF files into text will be faster and easier by using one of these programs. PDF Studio Pro is an affordable alternative to Adobe Acrobat on the Mac. Version 8 added an OCR function. Give it a try. There is a free demo version available for evaluation. The software runs on Mac, Windows and Linux and one license key allows to install the software on up to 2 machines regardless of the operating system. The 10 free OCR software you suggest are great for me. I heard of them before, but I did not use it. I am using Yunmai Document Recognition, a document reader developed by Yunmai Technology. It is able to extract the text from an image of a document, and then save it as text file. This software is a demo of Yunmai Document Recognition OCR SDK. The average time for recognition of a document less than 6 seconds. The recognition accuracy can reach 99%. Thanks for your suggestions. They are helpful for me. When choosing OCR software, I always think about the recognition accuracy and recognition speed. As I know, Yunmai Technology is also very professional on OCR technology. Yunmai Document Recognition is really great for me. The average time for recognition of a document less than 6 seconds. The recognition accuracy can reach 99%. It can convert documents into PDF, Word, Text format files.